In an unexpected turn of events, but one that can be a glimpse of things to come, Microsoft and Amazon are going to partner up and allow Alexa to be called from Cortana and vice versa. So far, digital assistants have been services that have been presented in a "watertight" way, with each technological giant betting on their own: Apple has Siri, Amazon has Alexa, Microsoft bets on Cortana, Google on Google Assistant, and Samsung on Bixby. But, what if we looked at it as if it were the same sort of thing that happens with search engines on browsers, where each user is free to use the one he/she prefers? A first step in this direction is being made by Microsoft and Amazon, creating an integration between Alexa and Cortana - and vice versa - that allows users to access both assistants from any of them. 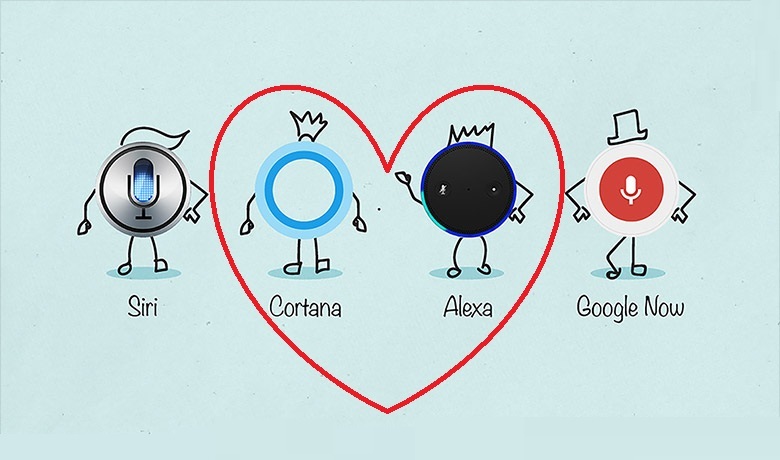 According to them, it is not a question of looking at these services as competitors but rather as complementary, as there are things that Alexa does better than Cortana and things that Cortana does better than Alexa. For now, users will have to say something like "Alexa, Open Cortana" or "Cortana, Open Alexa" but it isn't difficult to imagine that, in the future, both services will allow you to immediately access the desired assistant simply by calling out the intended one by name. ... Let's see if Google, Apple and Samsung will eventually join this effort, which would free users from having to settle with a single assistant.